﻿ Paguia's Cottages, Camiguin - SAVE ON AGODA! Have a question for Paguia's Cottages? "The location was near the port to White Island"
"The staff was very nice and they made sure that our needs we..."
Built in , Paguia's Cottages is a distinct addition to Camiguin and a smart choice for travelers. Set from the excitement of the city, this 1-star hotel commands an excellent location and provides access to the city's biggest attractions. Visitors to the hotel can take pleasure in touring the city's top attractions: White Island, Camiguin Airport, The Sunken Cemetery. 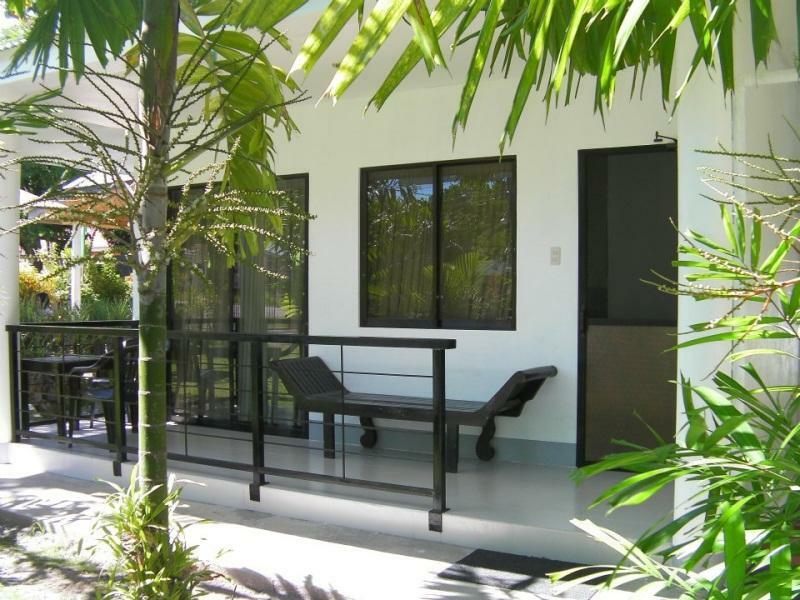 Paguia's Cottages also offers many facilities to enrich your stay in Camiguin. To name a few of the hotel's facilities, there are Wi-Fi in public areas, car park, room service, airport transfer, family room. 15 rooms spread over floors provide a warm and pleasant home away from home. Modern comforts such as television LCD/plasma screen, internet access – wireless, air conditioning, balcony/terrace, satellite/cable TV can be found in selected rooms. Throughout the day you can enjoy the relaxing atmosphere of the massage, garden. When you are looking for comfortable and convenient accommodations in Camiguin, make Paguia's Cottages your home away from home. "Very affordable and the room is very spacious given the pric..."
The staff was very nice and they made sure that our needs were met. The location was near the port to White Island (sandbar). It was very easy to catch public transportation as it was also near the main hi-way. They also rent out motor bikes for an affordable price. Except for the rainy weather in January we really enjoyed our stay at Paguia's. The Cottage was good for 2-4 adults. The offer motorbikes for rent at reasonable rate and there is a Sari Sari store right at the entrance. Restaurants for breakfast, lunch and dinner are all within walking distance, also the boat pier for White Island. Its not a 5 Star place (I would rate 2 Stars), but definitely a recommendation. Don't expect a posh hotel with grand lobby and concierge to greet you. Paguia's Cottage is a nice place for friends to stay because it's safe and affordable. It's a good place for families as well. They have a kitchen where you can cook for a minimal fee. They have a multicab pick up service for your transportation. The place is right across the White Island though you need to rent a boat to get there. The place is quite and we had a great night sleep. One down-side is the lack of hot water and the range of wi-fi connection. But the place is clean & you're close to nature. A small convenience stores are located at the back if you need anything from ice to canned goods. the owner was very kind to move our reservation for the next day because the typhoon cancelled the ferry trip. she was very easy to approach and very helpful on the directions about the island.the place is like a small apartment with a terrace where u can just sit and enjoy your coffee on a windy and rainy day.there are no food stalls near except the italian restaurant that you will see before entering the resort corner so be sure to being some snacks from the grocery. The room was simple yet it had what we would have asked for: air-conditioning, TV with cable, free fast wifi, clean mattresses and pillows, and a clean toilet and shower area. At nights, we would prefer staying in our rooms rather than going out unless when it's time to eat. The staff are very friendly and helpful at all times. They help you with a smile on their faces. They know their stuff and will always help and answer your every query. We arrived and waited for the person at the front desk (or reception with some groceries for sale). A few minutes later a lady showed up and brought us to the room. Therefore I'd agree with the rest of the reviews here about not being able to find the person to go and check-in. The room was spacious (we were given a triple instead of a double). Contrary to other reviews, they provided towels, but the towels looked like they've seen better days. They're off white and have stains not saved by the bleach. In addition, there wasn't any shampoo/soap. You have to buy them at the front desk/store. The toilet was dirty. I agree with the rest of the reviews here. The only saving part here is that the location is near the port for white sands and the nearby restos (most of them are overpriced!). the only problem here is that they don't have hot shower so it's a struggle for us to take a bath and the faucets are quite loose, so much water are wasted. the staff are nice and location is perfect. very close to white island. will stay here again cause it's cheap and the location is very accessible and convenient. The place was easy to locate as most locals know where it is. But it is not on the highway so you will need to walk to get a motorela (tricycle) or wait until it passes by the pension house. There is a bakery that's very near the pension house so breakfast is no problem. There are also food establishments within walking distance. When we were there, we checked out very early (6AM) but we could not find the person in charge so we had to leave the money we owe their convenience store and the room keys inside the rooms. We had a few nights here in this crappy hotel. 1. When we got to the hotel, we were greeted by the lady manning the store. She was very helpful to be honest but then she had to endorse us to I guess his boss. 2. When we met this "boss" he told us that the hotel is booked already and then he transferred us to a hotel across. He told us that this hotel is owned by the cousin/brother of the owner. Anyway we obliged since we had no choice. 3. The room was underwhelming. The bed is not comfortable and the shower had very few drops of water coming out. We had to complain 2x to the staff around to help us with our water situation. 4. On our 2nd to the last day, we accidentally broke our room key since it was very brittle. I called the attention of the staff to have this replaced. She briefly mentioned that I had to pay, but then there was another guest that asked her a question and totally forgot about me. So I went on and walked towards my room. 5. On our check out, when I handed over the spare key, the staff hesitated to let us go. She called one guy and he was the one who spoke to us. He mentioned that I had to pay 400 for the key replacement. Long story short and after so much heated argument, I eventually paid since we'll be late for our flight anyway. I will never recommend this place. Otherwise, you wont enjoy your vacation. It was a good stay. My friend and I felt relaxed in the room that we stayed in. We had twin big beds, it was comfortable to sleep. The place was quiet. My concerns were first, the lock on the screen door was kinda broken and there was no hot water in the bathroom. we arrived late due to some flight concerns from CDO on. we asked for a transport arrangement from Paguia to their place. We were picked up even if we arrived at around 5-6pm. They really provided the best customer service. They were really helpful knowing our predicament of a tight schedule. They offered the best solutions and arranged whatever we can make the most of our time. The room is unbelievably cozy, clean and big for a very very reasonable price. I just really love sky short stay in camiguin because of Paguia. We felt we got more with the price we paid. We didn't expect major problems. Really near the white island, and you may arrange for a tour with Rene, the owner of the place. Their, breakfast though is not recommended but it's walking distance to good restaurants. It is a recommended place to stay in Camiguin. This is an ok place to stay. Location wise its in the best are on Camiguin to stay. Be aware though that there are no hot water showers here and the water is really really cold! They also dont have a generator and brown outs are common here! The internet is not very good but the tv worked fine. There are restaurants at the top of the road and in my opinion check point for price and quality was the best. Rent a scooter to tour this lovely quiet island for around 300peso 24hrs. We had a good stay at this hotel, its a budget one, but very good value for money. Location is great, just in the middle of Yumbing village, all restaurants and shops within 5 minutes walking distance, staff was doing well enabling early check in and check out since the only flight to/from Camiguin is early in the morning. The only drawback we saw in Paguias was no hot shower and Wifi never working starting from afternoon till late at night. i was surprised that our room is huge for couple :) free use of towel but bring your own toiletries:) best location its 5 minutes walk going to boat station going to white island. it's feel likes home for me, the staff is very accomodating and helpful to your needs. if i had a chance to go back in Camiguin definitely i will go back to stay in Paguia's cottages. Be aware that there are no hot water showers in any of the rooms at this property. Its location is good in comparison to other locations on the island. By that i mean it is close to the departure point for boats to white island and 3 or 4 restaurants. Checkpoint and Northern lights restaurant are the best for food and price in my opinion. But be aware this island has a severe lack of restaurants. Paguias cottages are ok, its a family run business and the people are friendly enough. However getting your room cleaned and changes of towels and bedding us not forthcoming and i had to chase them up daily. On 2 occasions they just plainly said oh i forgot. I wanted my room cleaned every 2 dats which i thought was fair but over 7 days only managed to get them to clean it twice and change the towels 3 times. Disappointing. Paguia's Cottages is one of the most affordable accommodation if you are on a budget but want comfortable and enjoyable stay. 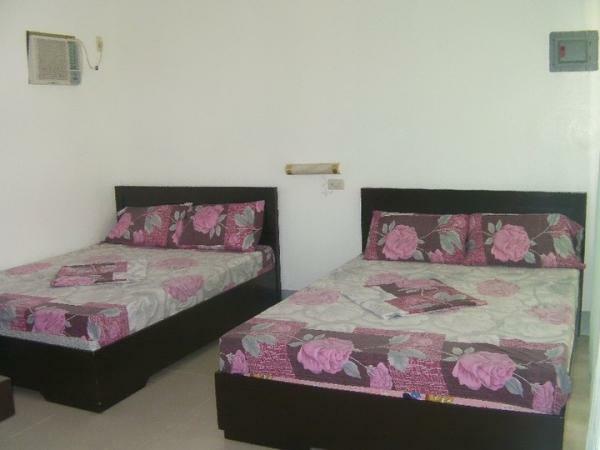 The rooms are clean and well maintained, relatively new. The hotel manager had let me check in early since the flight to Camiguin was also early in the morning. Also, the tour guide would offer you reasonable rates for your day tour depending on activities you want to do in Camiguin. The hotel also rents out multicabs and motor bikes for tourists who want to visit the spots in the island. A stay in Paguia's Cottages is definitely worth it! 1. Staff were friendly and helpful in giving us tips how to enjoy our stay. 2. Location was great and near the different tourist spots. 3. Its a very spacious room. It was good for a 2-day stay and the staff was accommodating what i could have wished are like simple amenities like microwave, airpot and a fridge as the city proper was a little bit far so we could cook and store food and drinks. And the shower did not have an option for hot or cold its just cold. And the water was not that strong. But overall it was just value for your money as the place is clean. From first arrival, we were greeted with warm smiles and that continued throughout our stay. The family running the property treats you as their own, and takes very good care of you. The rooms were spacious and clean, great for the price. I will return here any time!